Home » Blog Index » Featured, Mark and Jamie Mornings » WATCH: Bradley Cooper & Lady Gaga in Vegas! WATCH: Bradley Cooper & Lady Gaga in Vegas! At the SAG-AFTRA Awards Sunday night, Rami Malek won again for Best Actor. This is important to note, as SAG best actor winners usually go on to win the Oscar – 13 out of the last 14 years. Glenn Close beat out Lady Gaga for Best Actress. Alan Alda received the SAG Life Achievement Award. These awards are voted on by media industry professionals. Get the full list of SAG-AFTRA winners HERE! Bradley Cooper joined Lady Gaga in a surprise appearance on stage during her Las Vegas show over the weekend. 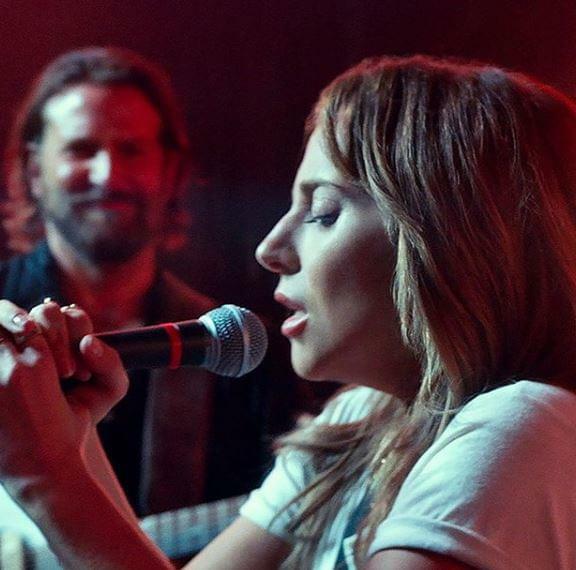 They performed “Shallow” from “A Star is Born” together. Halsey will be on Saturday Night Live February 9th as both the host AND musical guest! Pink is getting a star on the Hollywood Walk of Fame! Ellen DeGeneres will be on hand to present the honor on February 5th. Bravo TV’s Andy Cohen celebrated his baby shower over the weekend with almost all the Real Housewives in tow! It was a wild dinner party at The Palm in Beverly Hills. Ramona Singer, Teresa Guidice, Kyle Richards, Nene Leakes, and Vicki Gunvalson were just a few of ladies who were there. Andy is expecting a baby boy via surrogate any day now. Anything can happen in theater! Mixed reviews are in for “Rent Live” on FOX – which turned out to be, well, not live. Brennin Hunt, who played Roger (a lead role), wound up breaking his foot after the show’s dress rehearsal on Saturday, leaving him wheelchair bound. The cast explained that since there were no understudies, much of what was aired on Sunday was from that dress rehearsal. Justin and Hailey Bieber have reportedly postponed their wedding to either April or May and are considering a tropical destination. The couple, who got married in a New York courthouse a few months ago, were originally planning a February 28th religious ceremony. “Glass” topped the box office for the second weekend in a row.